HomeNewsCommunity BuildingIF’s Annual Report 2017 is out now! IF’s Annual Report 2017 is out now! 28 June 2018 // The IF General Assembly has approved our Annual Report 2017. The report highlights the progress of the organisation and the continuing development of activities, projects and workshops throughout the past 3 years. In 2017, IF began a new chapter in its history by exploring the mental health and well-being of persons with Spina Bifida and/or Hydrocephalus and their families and highlighting the importance to include these aspects in a multidisciplinary approach. As part of this work, we launched the animation “Reclaiming my health” on World Mental Health Day, in English and in Spanish. Our biennial African Workshop took place in Mombasa, Kenya, last year. With 90 participants from 17 countries, it was the largest African workshop ever! Apart from countries in Africa, participants came from the Philippines, Belgium, Norway, Sweden, Germany, Scotland, the Netherlands and Canada. After the official launch of the IF Global Prevention Initiative (IFGPI) in October 2016, we celebrated the first World Folic Acid Awareness Week from January 9-15, 2017, by highlighting the important new information on our website with regard to folic acid, women at high risk for neural tube defects, reducing hydrocephalus risk factors, and more. In May, the IFGPI launched a new global educational leaflet, Folic Acid – What every woman needs to know before becoming pregnant. For World Birth Defects Day, the PUSH! Global Alliance, of which IF is one of the leading organisations, announced the launch of the Global Report Cards for Spina Bifida and Hydrocephalus Prevention and Care of the WHO regions AMRO (The Americas) and EURO (Europe), thus making data available for all the countries in the world. We are extremely pleased that more and more of our members and other SBH associations are organising activities to celebrate and commemorate World Spina Bifida and Hydrocephalus Day. Only with your support can we raise awareness and increase understanding of spina bifida and hydrocephalus, as well as advocate for and promote the rights of people living with these conditions and their families. We hope you will enjoy looking back with us at all that has been achieved last year, and during the 2015-2017 startegic period. We look forward to a continued cooperation with all of you in 2018 and upcoming years. We already had one of our European Workshops in Sofia, Bulgaria and we hope you will join us at our 28th International Conference on Spina Bifida and Hydrocephalus, Making the Invisible Visible, in New Delhi, India, from August 10-12, 2018! 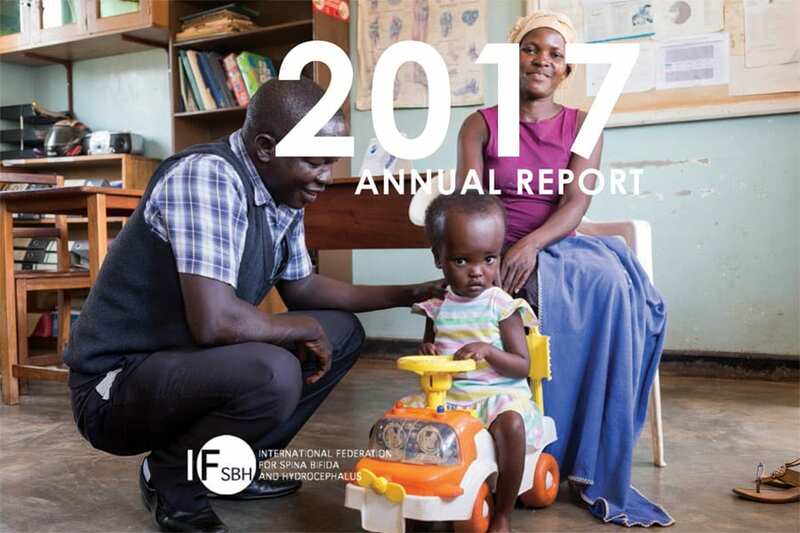 Download the IF Annual Report 2017 here.